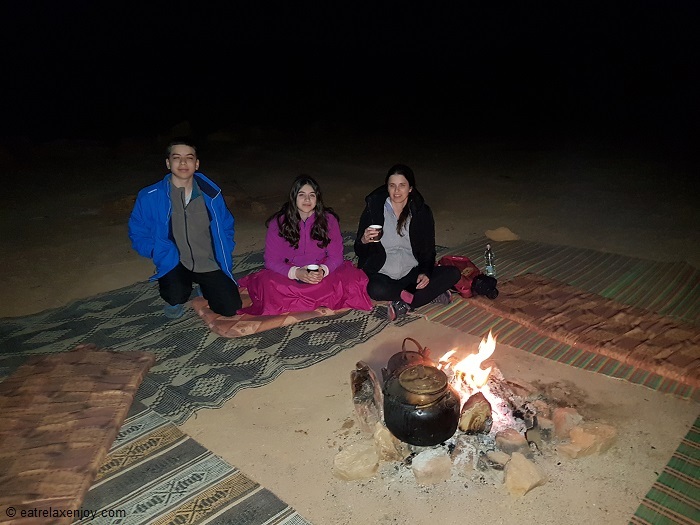 The area of Makhtesh Ramon is ideal for stargazing. 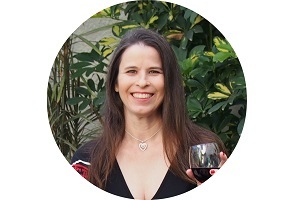 It is sparsely populated, which means that there is not much light and the air is dry. 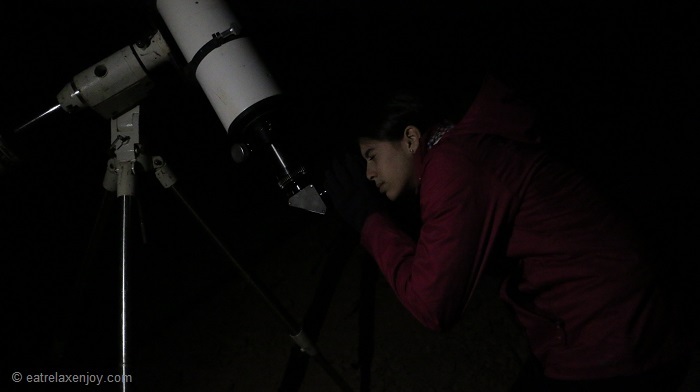 Stargazing here is a popular and fascinating nightly activity that combines fun and learning. We headed down a few kilometers from Mitzpe Ramon on road 40 into the crater where Nadav Silbert awaited us on a dark path that took us to the observation point. 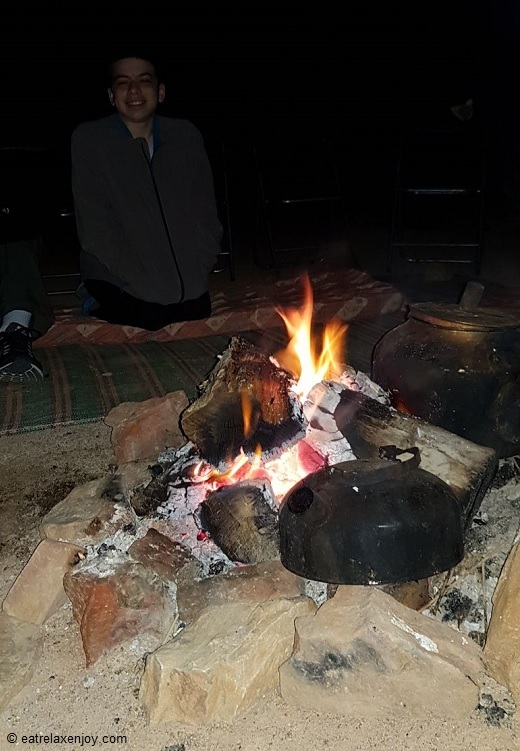 As we got there, a bonfire circled by mats and mattresses awaited us near a set of 4 different telescopes. We started sitting around the bonfire. 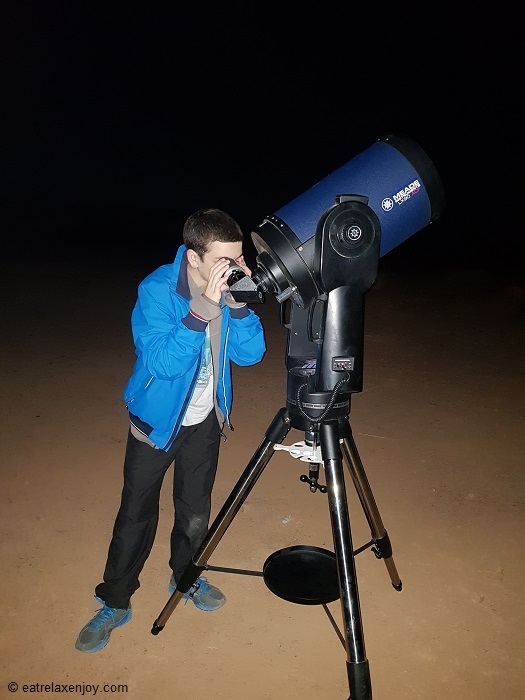 Nadav gave us an overview of the stars, galaxies and our solar system, while we had tea and coffee. He used a laser-pointer to highlight the different stars. 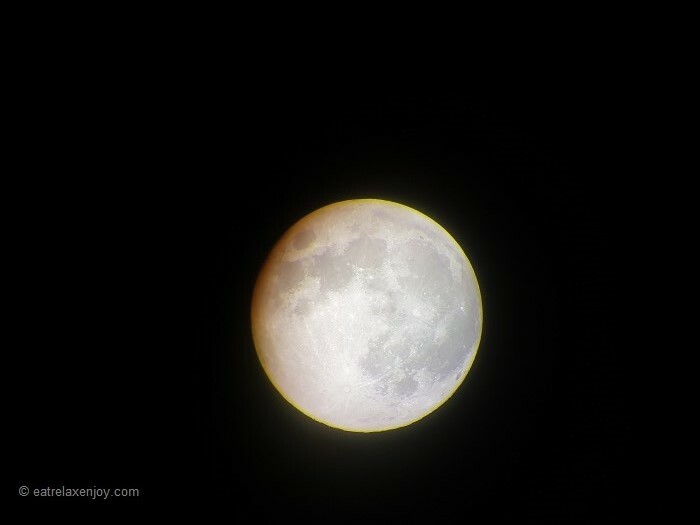 This was a great opportunity for us to get a grip on what’s going on around our planet. We learned the relative size of sun and its distance from earth, and what makes it shine so bright, how stars are born and what are a galaxy cluster and nebula, and meteors. This was interesting for us the adults and the teenagers. 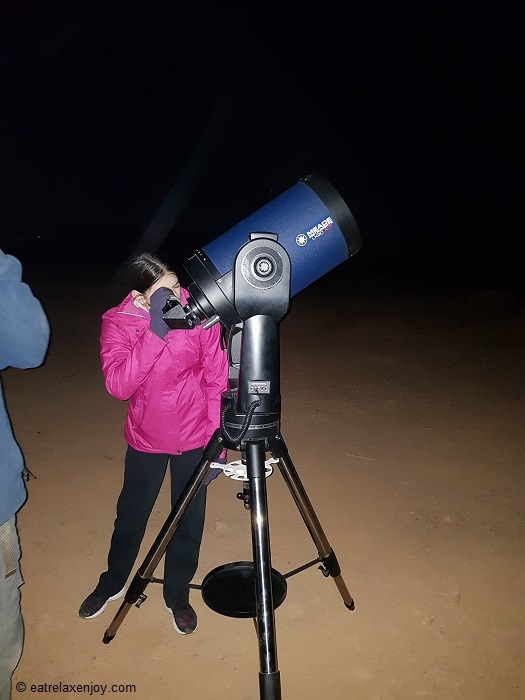 The second part was more active as we watched the moon, stars, a galaxy cluster and a nebula as well as other phenomena with the different telescopes. This was exciting! 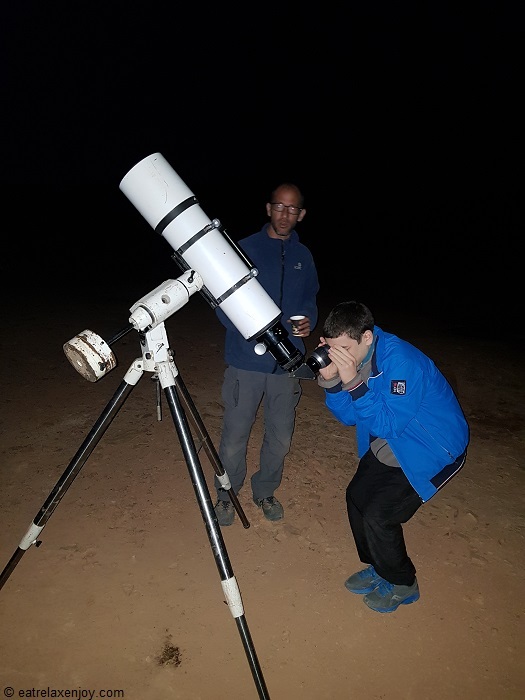 Nadav tells us that each night and hour is different and no stargazing is like another, in each one, the conditions are different and what is a seen changes; but it is always worthwhile! 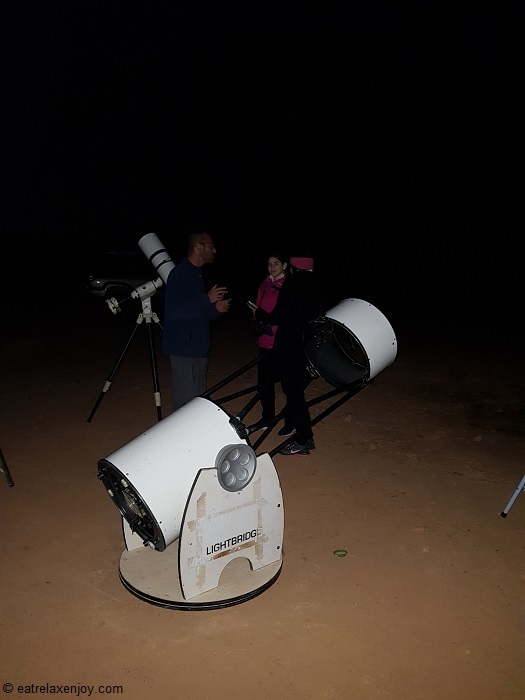 Nadav has 16 different mobile telescopes, which makes him the owner of the biggest mobile stargazing fleet around here! Group prices start from NIS 1,250.